Don't miss out on this beautifully maintained 4 bedroom, 3 bath, Hazelwood gem, loaded with updates throughout, including matching stainless steel LG gas range, microwave, and large french door refrigerator, all provided with the sale! Beautiful hardwood floors throughout the upper level, freshly painted, exterior has newer maintenance free deck, great for entertaining friends and family. Living room opens to dining room and beautifully updated kitchen area. Three spacious bedrooms boasting Master suite on the main, and lower level has a spacious family room, fourth bedroom, and a large utility room, great for storage or craft or workshop area! Large fenced yard with shed is great for entertaining with large patio area and beautiful yard. 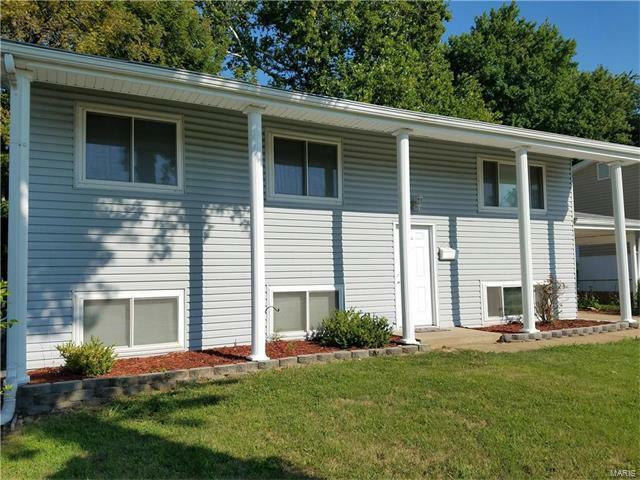 Purchase with confidence as Seller shall provide buyers with 2-10 Home Warranty for peace of mind, Hazelwood occupancy is complete, and ready to make this YOUR new home! Schedule your showing today! Howdershell/Shackelford Rd to Dunn Road to Left on Ville Maria - Home located on right.